SSD stands for the Solid-State Drive (or Solid-State Disk). Actually, the construction of this data storage device does not require any actual disk or driver motor. SSD is a non-mechanical data storage device based on special integrated circuit assemblies that make persistent data storage possible. SSD technology is mostly widespread in the manufacture of compact devices, such as laptops, netbooks, smartphones and tablets, slowly occupying a dominant place for desktop computers and servers. Comparing to HDDs (Hard Disk Drives), SSDs are much smaller and weight less. Construction of a Solid-State Drive does not imply any of moving (mechanical) details or components. This principle strongly distinguishes the SSD technology from a Hard Disk Drive (or floppy disk) technology, which has to contain real spinning disks and movable heads to read or write data. Such specific of HDD construction without doubt causes bigger tendency to physical damage and deterioration. Conversely, SSD technology much more resistant to physical shocks, performs better access time and latency; in addition to this, SSDs are more quiet. Most of Solid-State Drives use flash memory (NAND-based), which doesn’t need power to retain data (data is persistent without a power). For applications that require a fast access to data and in cases where data persistence after power loss is not so necessary Solid-State Drives can be constructed with the random access memory (RAM). Hence construction is frequently equipped with a separate power source (like batteries), this helps to maintain data after power lost. Small SSDs can be integrated in construction with HDDs technology. Such combination is called Solid-state hybrid drive (SSHD). There are several advantages of this hybrid technology – some of SSD advantages (like fast random access) are available in relatively low “HDDs” prices for data capacity. 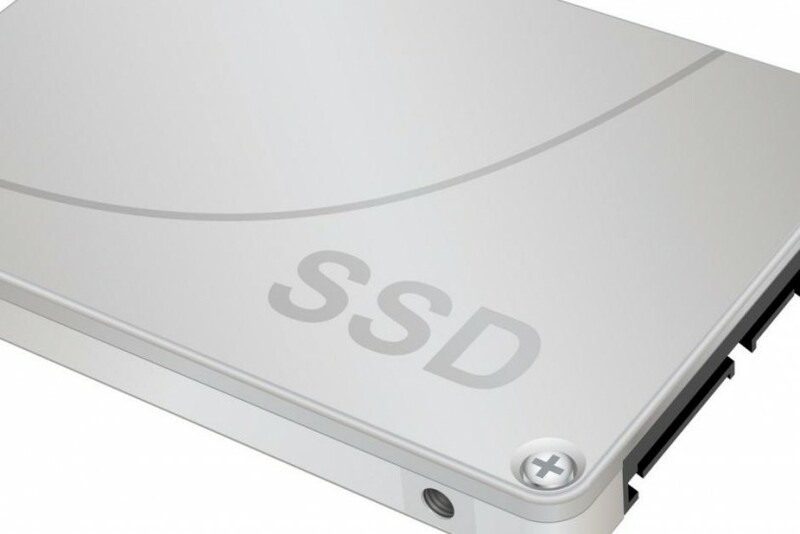 Summarising, there are plenty of technical advantages of SSD (Solid-State Drive) technology: SSD is silent (zero Db), it has stable high speed to read data without the influence of their location or fragmentation, low power consumption, resistance to external electromagnetic fields and also has a wide operating temperature range. Regarding disadvantages first of all should keep in mind finances – the price of a storage data capacity for SSDs is six times more expensive than the same data capacity for a HDDs. Nowadays Solid-State Drives take primary positions in secondary storage device technologies. SSDs slowly replacing HDDs in all spheres that now engaged in a data storage business. CDNsun services are oriented on growing demand of high-loaded service spheres like live streaming and gaming industry and fully SSD powered.